Oh dear, it seems we are all out! This supersized light is the largest of our bulkhead light family. 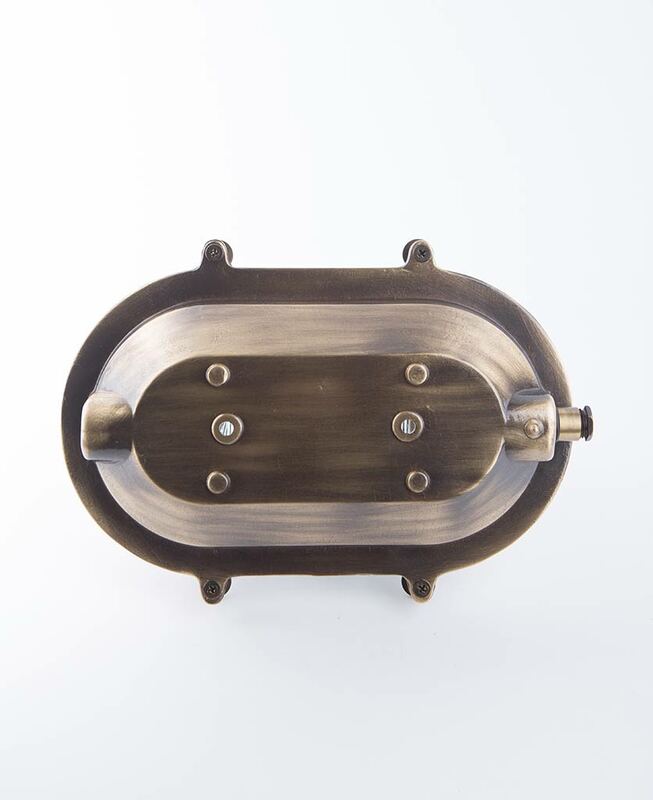 Made of electroplated solid brass this chic bulkhead makes a statement in your interiors. What’s more, Big Steve is also IP64 rated, making him perfect for using as a glam take on outdoor lighting and even as industrial style bathroom lighting. For maximum impact, show off this burly light against chic whitewashed exposed brick for an authentic New York loft vibe. Our Big Steve bulkhead light is the ultimate industrial light. Measuring a whopping 26cms it’s the largest of our bulkhead light range. This striking light really makes an impact in your home, with a choice of three finishes, it’s the perfect combination of industrial design with a subtle glam finish. 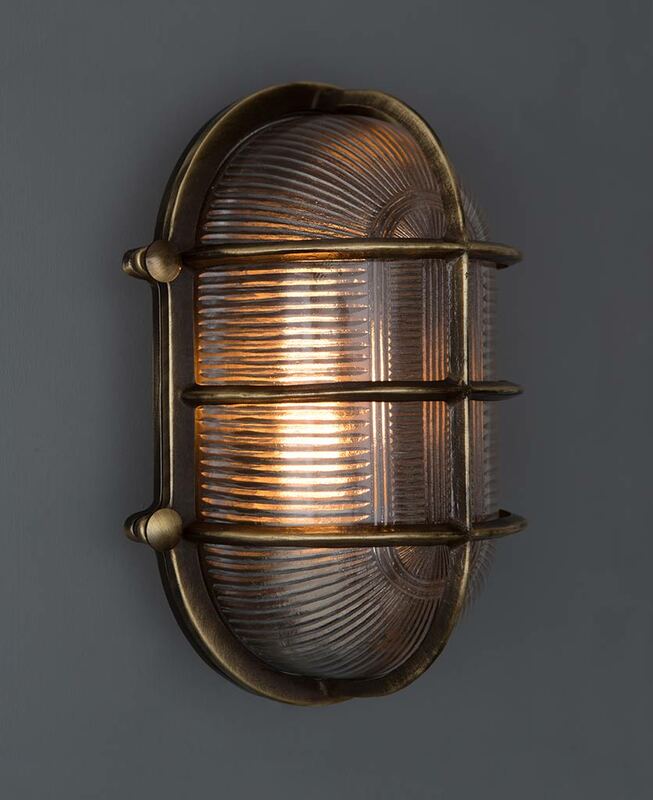 We love Big Steve as a statement light either indoors, as rugged, nautical inspired lighting in bathrooms, bedrooms or kitchens, or outdoors as porch or decking lighting. Either way he’s sure to look amazing. 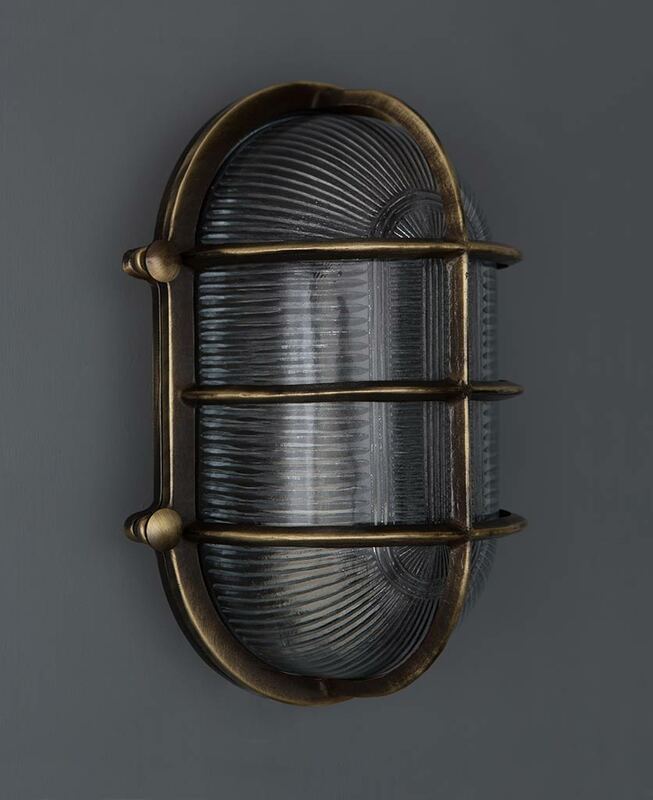 Specifically designed for onboard ships, this polished brass bulkhead light has been built to withstand the harsh weather conditions out at sea, therefore it’s perfectly suitable for using in bathrooms and outdoors. Each Big Steve bulkhead light features chunky glass and a rugged cage to protect the electricals inside. For a luxe approach to industrial lighting, we love this bulkhead light on monochromatic walls where the brass can really shine. Place upon pure white, soft grey or even moody grey, if you’re feeling rebellious, to really add drama to your interiors. For something a little more rustic, we love this polished brass bulkhead against exposed brick walls to create a New York loft vibe. 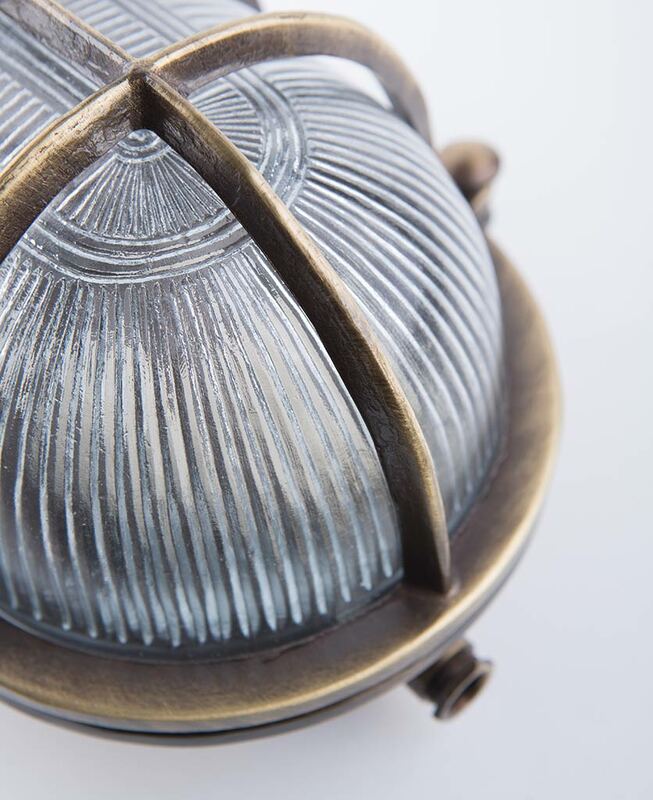 The high-quality finish of this bulkhead light has to be seen to be believed. You really get what you pay for and this hefty light is a real investment piece.